The fifth chapter of Dino Rizzo’s book: Servolution centers upon the experiences of Dino and the people of Healing Place Church; but, much more than that, the many other pastors and congregations that came together in the midst of the devastation of Hurricane Katrina. 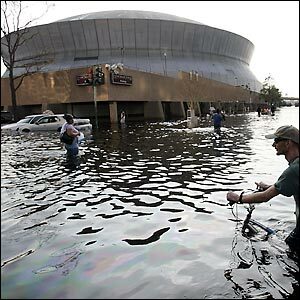 Rizzo opens the chapter by recounting for his readers the events surrounding the flooding that overtook the greater part of the city of New Orleans during one of the most devastating storms of recorded American history, Hurricane Katrina. As he recalls receiving the news from a fellow pastor in his network, he recalls his initial disbelief and shock as the reports of the devastation that was taking place and shares his own personal emotional, spiritual and psychological desolation as he begins to realize the true extent of just how truly dire the circumstances would come to be. Like Rizzo, I think that most people, at the time, tended to take the news of the Katrina devastation with an eye of skepticism. I remember well hearing many people saying that with the technological advancements, infrastructural preparations and other capabilities of the human condition, that it could not have been as bad as the news outlets could have been reporting it. Like Rizzo, we had a “juvenile” impression that while we could see these types of events taking place in lesser developed nations the chances of them ever taking place here in America were very slim to non-existent. The one difference that makes the response of Pastor Rizzo and the people of Healing Place Church different is that because of their attitude of servanthood and loving people the way that Jesus did, they were ready to respond. One of the most refreshing points of this chapter was the “in your eye” approach to breaking through the barriers of self-centered congregationalism that plagues the church today: denominational lines, congregation building rather that Kingdom building, racial lines and a host of other criteria that separates one congregation from another. 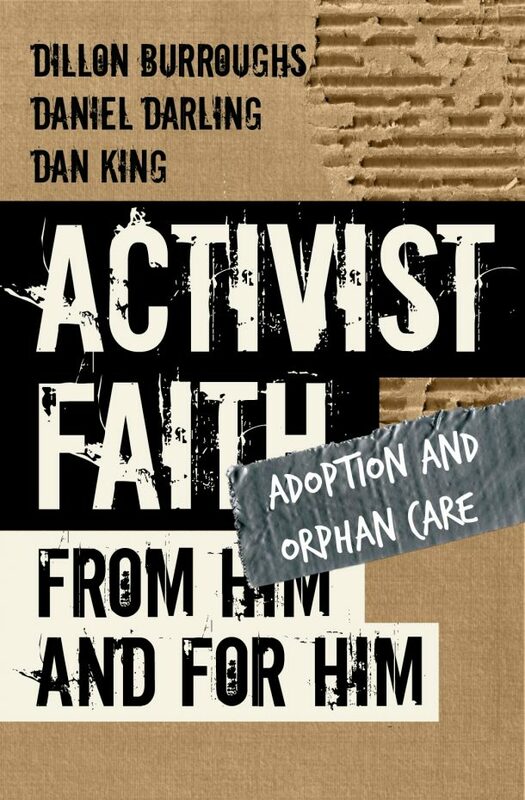 In short, it was the attitude, heart and long-standing history for ministering to hurting people that even allowed the people of Healing Place Church and its partner church families (I think the name is very apt in application to the topic of this chapter) to do the work that they were able to do. Another component was the relationships that had been built with civic leaders, local emergency agencies and the people that lived in these hurting areas that enabled them to move with very little hindrance. Providing relief in times of grief, support for the community and ongoing communication with key people created a trust and familiarity that allowed access to places and people that normally would have been closed off. What we, as the people of God, need to take away from this is that this is not a special case. This is a normal response of God’s people to a crisis. The problem is that the heart of Christ has largely been lost to His people. Pastor Rizzo points out that there are emergencies, crises and hurting people around us at all times. We simply have to be sensitive to what’s happening around us and be willing to meet those needs. As I received my copy of the book and began reading, I asked God to show me, in a practical way, the concept of “Servolution”. I never thought that he would use me and our local denominational pastor’s lunches to drive the point home. As we were meeting at one of our local restaurants for our monthly meeting, I joked with a waitress I knew about “putting her to work” because we were some of the first people (about 9 of us) to sit in her section. She commented that she was glad for us to be there because she needed the tip money to help buy a $32 dollar part for her car. As the pastors that I was gathered with took the spiritual road and made comments that they would pray for her, I have to admit that I was troubled that no one mentioned taking up a few extra dollars from each person and giving it to her as an expression of God’s love for her. Through the meal and time of visiting, the words of Rizzo kept going through my mind: “be ready to respond”. Through much internal debate about being able to give $40 and possibly leaving myself short over the next couple of weeks until I reached another payday, I finally gave the waitress the money letting her know of the love of Jesus for her and her family. Now, I do not share this to make myself seem spiritual, generous or anything else because I was just as hesitant as anyone about giving up something that is mine to help someone else. I have to work to make generosity a lifestyle and set an example for those I teach. Like any pastor, I preach loving your neighbor, living sacrificially, giving of yourself to help someone else, and giving “a cold glass of water in His name”, but I still had to wrestle with self to actually make that a reality in my own life. For most of us, I am once again as guilty as anyone, we forget that people are a special creation of God and that we all have an inherent dignity and worth that is bestowed upon us because of His love. Too often we see one another on the basis of skin color, financial status, educational level or anything else that causes us to make presuppositions about a person and hold prejudices against them. By forgetting God’s love for us and holding to our prejudices we fail to develop the heart of Jesus within us and when we see people in the midst of their own personal “Katrinas” we do not have the heart to reach out to these people and help them by meeting the practical needs that they have and making a practical demonstration of God’s love. Pastor Rizzo reminds us that we do not need wide spread crises to respond to needs because there are hurting people all around us and if we do not attempt to meet these smaller needs, then we will never be able to handle meeting the needs on a much larger scale. We also have to reach out to first responders and build and develop relationships with those who serve our communities to make access to limited areas easier. We also have to build teams of leaders and chaplains in local congregations and form partnerships with other churches to learn everyone’s gifts, abilities, specialties and leadership capabilities and then put those into practice by participating in our communities during celebrations as well as times of grief. Most importantly, we, as God’s people, must be aware of what’s going on around us by being sensitive and ready to give in whatever way is necessary. Pastor Bryant Neal recently began his fourth year as pastor of Camak Baptist Church. He is also greatly involved in his local denominational association as discipleship team leader leading churches to develop discipleship processes in their congregations. Bryant also maintains his own personal ministry in mentoring individuals, couples and small groups through personal meetings, email and messaging and through regular emails entitled: “Emmaus Road”. Bryant has been married to Cheryl for 14 years, has two cats and enjoys biking, reading and photography. What an amazing story about a servolution experience with the waitress! It is awesome to see God moving in people through this project! I am thankful for your experience, and that you shared it with us! But you hit something that I think is very important for all of us to remember… that we must constantly be aware of the opportunities to serve that come up every day. Thank you for sharing! And I pray that God continues to do this good work through you and your church! Thanks, Bryant. 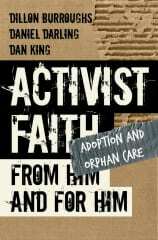 I too have been challenged, and increasingly so as I read this book, to look for practical ways to serve. I'm convinced it's a major part of what we need to be doing and a key to breakthrough. Wow just what we were talking bout tonight at VBS. How its like the storm of fear(matthew 14) causes use not to step out on Faith. Keep up the good work. you have to live out loud daily and show Gods love to the people you interact with daily, as I was told by one of Pastor Dino's own staff, let the Lord spill out of your cup daily to the people around you. I think this is a perfect example of the way we should all be, you see a need provide what you can for it and the Lord will take care of the rest, if you do it in His name and with a true heart of a servant of the Lord. Begin your servolution today, and let your cup spill over on some one you come across today!!!! this is a great perspective… “let your cup spill over on someone you come across today!” this is what servolution is all about… it is about living in a culture of recognizing and acting on the needs of others… DUDE! THAT IS AWESOME!!!! Thanks Bryant for your insighful analysis of chapter five and your application to the body of Christ and me personally. God continue to bless and strengthen you in His work. I agree that our churches are too often self-centered and not Christ-centered. Thank you for your leadership as you call us to follow the example of Christ in serving those in our way.